The four best drivers in the Monster Energy NASCAR Cup series had 15 laps to settle it all Sunday night at Homestead-Miami Speedway. Three of those drivers had combined to win 19 races and earn the title of NASCAR’s Big 3. Joey Logano had something to say about that. With 12 laps remaining Logano emerged in the lead Sunday. 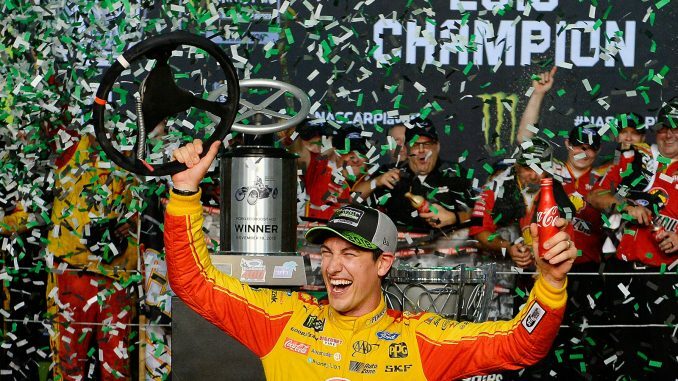 And from there it was Logano who took the win and became the 33rd NASCAR Cup champion. The 28-year-old Team Penske driver had been strong all weekend, but Sunday so where the other three championship contenders all of whom led at various times. The final round of green flag pit stops combined with a late race caution nearly gave the title to Kyle Busch. After his three contenders pitted, Busch elected to stay out for track position and hoped for caution. He got his wish with 20 laps to go when Brad Keselowski got into Daniel Suarez bringing out just the second non-stage caution of the entire weekend. The caution sent the leaders to pit road with Busch coming out first, Martin Truex Jr. second, Logano third and Kevin Harvick fourth. The restart came with 15 laps to go; Truex shot to the lead with Logano in close pursuit. The two began to duel side by side with Logano making a move on the outside entering turn 1 with 12 laps to go. Logano never looked back taking the win and the title by 1.7 seconds over Truex. Logano led a race high 80 laps, but early in the race it was Kevin Harvick who seemed to have the car to beat. Harvick started 12th but was leading by lap 43. He would win the first stage and a total of 58 laps. 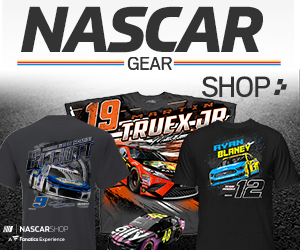 Truex, who led 20 laps, came up one spot short defending his title, and getting a win for his Furniture Row Racing team which is ceasing operations after this race. 2015 Cup champion Kyle Busch led 21 laps and nearly pulled off the win with pit strategy. In the end he settled for fourth. Keselowski was fifth, with Matt Kenseth, Chase Elliott, Clint Bowyer, Aric Almirola and Kurt Busch rounding out the top 10.